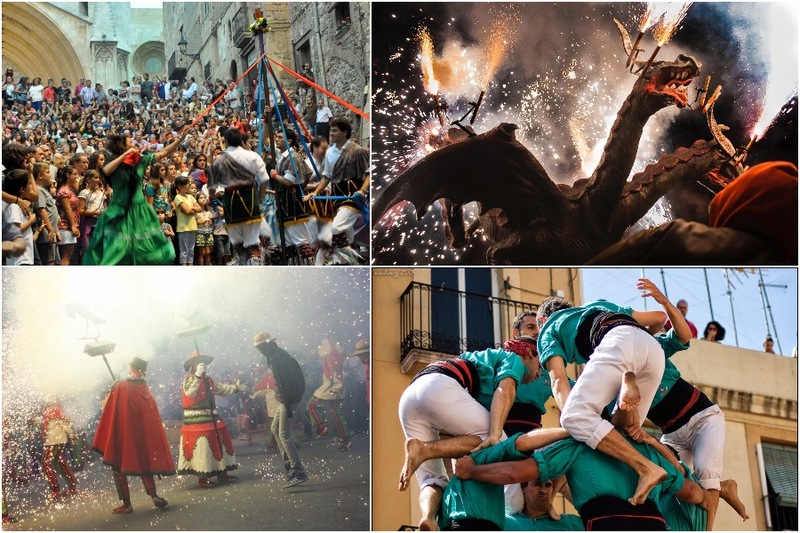 The Festivity of Santa Tecla is one of the moments of more activity, effervescence and amenity in Tarragona. These festivities, together with Sant Magí’s Fest, move the city during the summer period. Concerts, folkloric parades and demonstrations of “human towers” fill 10 days of activities and popular festivities. As we’ve already explained, Santa Tecla is the patron saint of Tarragona since the 11th century, when the city was still being repopulated. Despite the fact that between the XI-XIV centuries the patron was worshiped annually, it was not until 1321 that Tarragona celebrated a great party on the occasion of the arrival of the relic of the arm of Santa Tecla. The structure of the festivity, the order and locations of its dances and parades dates from the first great celebration in the fourteenth century. In addition to various sporting or scenic events, such as marathons or "spoken" dances, Santa Tecla Festivities are full of folk dances and cardboard-stone giants and beasts parades, especially on the 23rd. Processions with images of Santa are also very important. The groups of castellers make several performances during the festivities, besides inviting some of the best "groups" of human towers in Catalonia. The 24th is the day they make the "walking-pillars", a surprising way to make human towers. The concerts of this edition will be starred by La Orquestra Mondragón, Doctor Prats o Porto Bello. El último tributo, as a revival of El Último de la fila, Joan Reig, Kepa Junkera o Harrison Ford Fiesta will also perform during the many concerts.